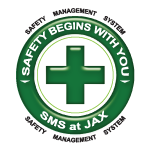 On Wednesday, the Jacksonville Aviation Authority conducted a triennial (every three years) emergency disaster preparedness exercise at Jacksonville International Airport (JAX), Florida. The exercise allows the airport and first response agencies to evaluate emergency response systems, techniques, capabilities and communication networks as they relate to a major aircraft incident. The exercise which is required by the Federal Aviation Administration (FAA), is a real life, full-scale, Alert 3, simulated event that would involve an actual aircraft accident or fire. The Alert 3 scenario began at 9 AM and lasted until 1 PM. The exercise started off with a pilot who had just departed the airport with over 100 hundred passengers onboard. 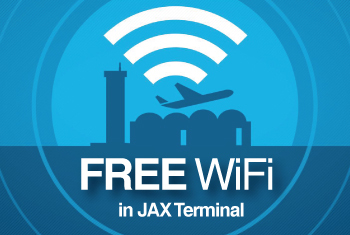 The pilot contacted JAX Terminal Radar Approach Control Facility (TRACON) to advise the controller that he was experiencing a mechanical problem onboard and was declaring an emergency and needed to return back to the airport. TRACON cleared the pilot through its airspace and passed the pilot onto the airport tower, the pilot was cleared to land. Upon touchdown the aircraft had a hard landing, crashed and caught on fire. Onboard there were several passengers who needed immediate medial attention. Over 20 different city and state agencies, including JFRD, JSO and area hospitals, participated in the event along with approximately 100 student volunteers from Raiders Health Academy at Orange Park High School, playing the roles of the victims. Runway 14/32 was utilized for the exercise with numerous emergency vehicles in and around airport property. A temporary road closure was in effect along Pecan Park, between Woodwings and Terrell, from 7:00 AM to 2:00 PM. The airport remained opened during the exercise and normal airport operations was not affected. JFRD Chief Martin Senterfitt said, "This is one of those low occurrence but high tragedy type events. Fortunately, this doesn't happen routinely, but that's why the exercise is so important." The Jacksonville Aviation Authority which owns and manages the Jacksonville Airport System which includes Jacksonville International Airport (JAX), Craig Airport (CRG), Herlong Recreational Airport (HEG) and Cecil Airport (VQQ) reported they noticed a marked improvement in communications between the different agencies and will evaluate responses to the drill and make improvements to the airport emergency plan as necessary.